There are many trends in coatings, especially those in porcelain stoneware, but most of those with a three-dimensional effect to amaze more and give significant benefits, not only aesthetic. 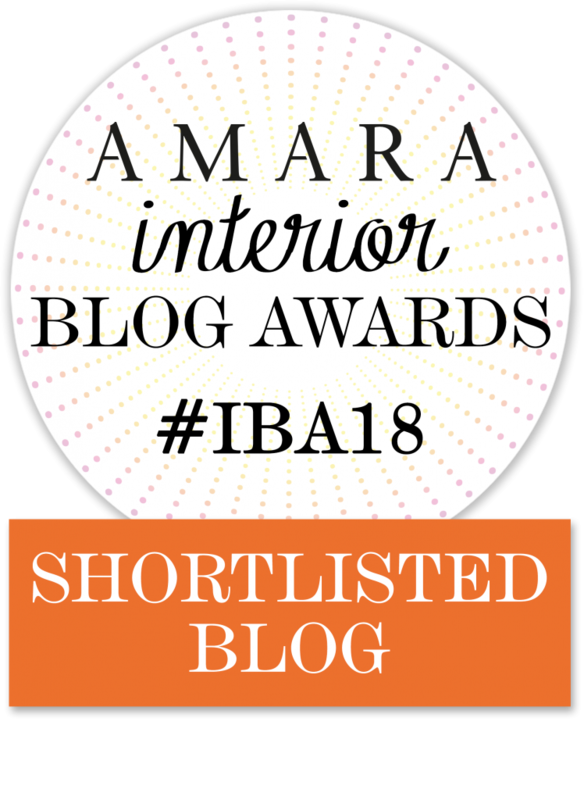 Here’s how to choose them and some inspirations! 3D effect porcelain stoneware: why choose it? 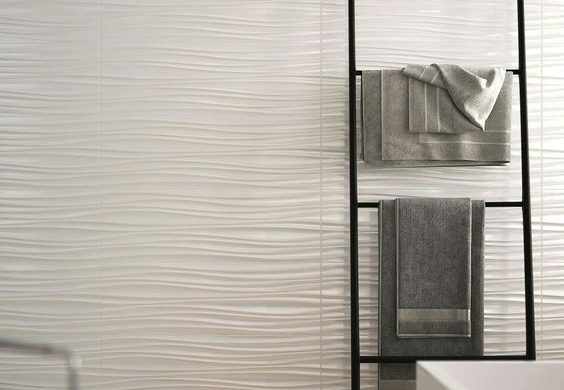 Porcelain tile with a three-dimensional effect is basically a ceramic support, a tile with a 3D surface, in relief and particularly attractive. 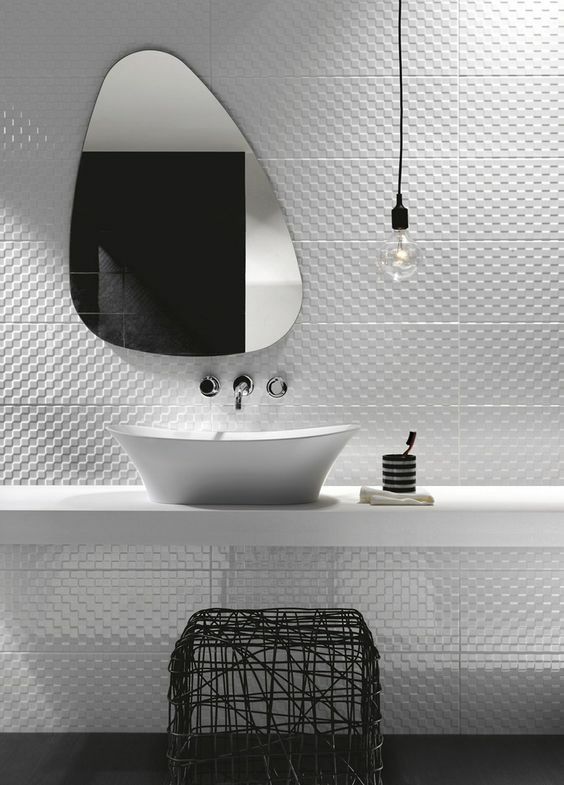 Choosing a type of tile also total white but 3D, you will have the opportunity to give not only character to the environment, but also dynamism and often perspective effects that highlight niches and corners. The three-dimensional effect stoneware of various models and also with a fabric effect is used above all to cover the walls. 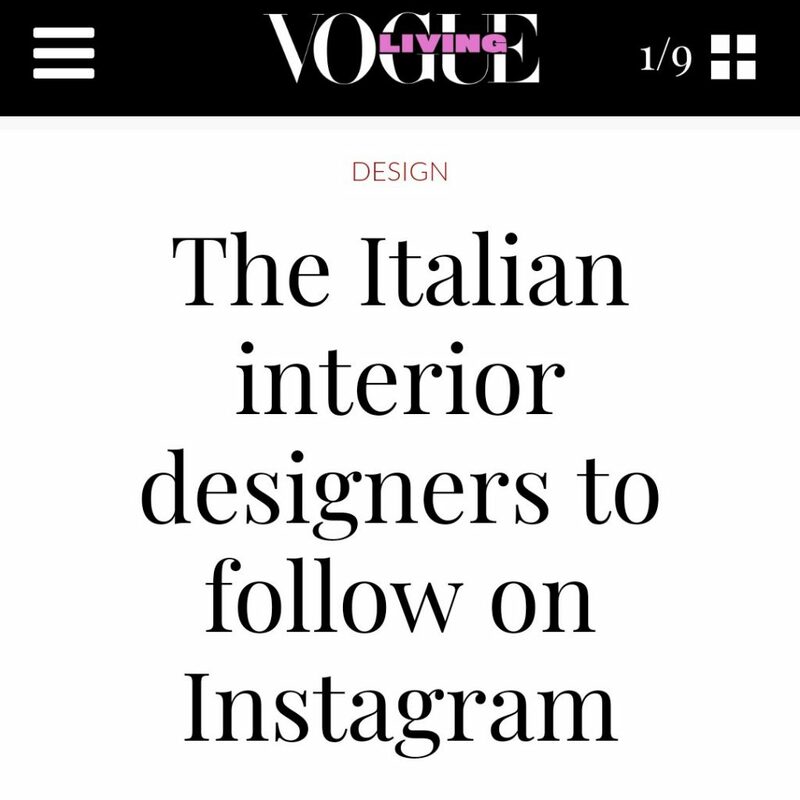 There are endless stylistic possibilities and on the market there are also models that become small vertical indoor gardens that allow you to place and keep objects. In these specific cases you will also have a practical function, but it is above all the great scenic effect that makes the 3D tiles preferred, more than the traditional ones. Not only that. Porcelain stoneware, even with these effects, has a great mechanical, chemical and thermal resistance and perfectly meets the needs of modern life. 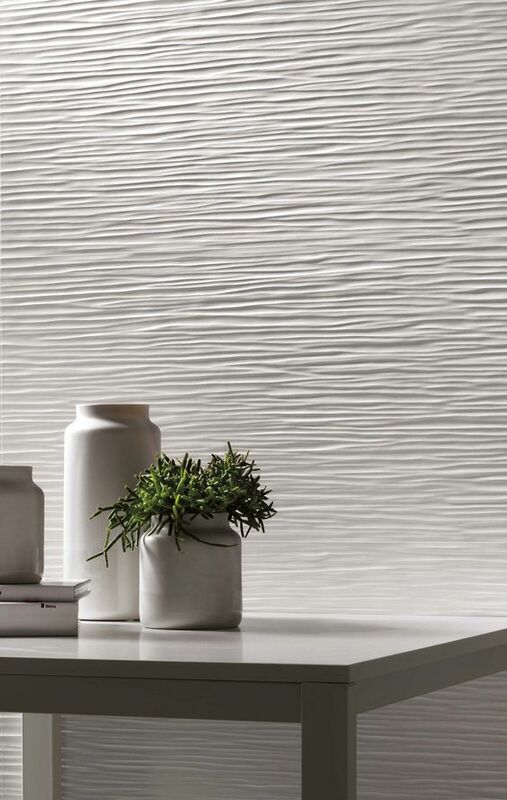 On the market, models and types of three-dimensional effect porcelain are truly infinite. 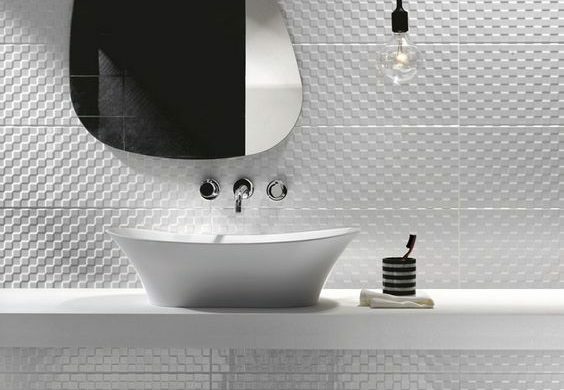 Among Italian brands, Marazzi stands out. 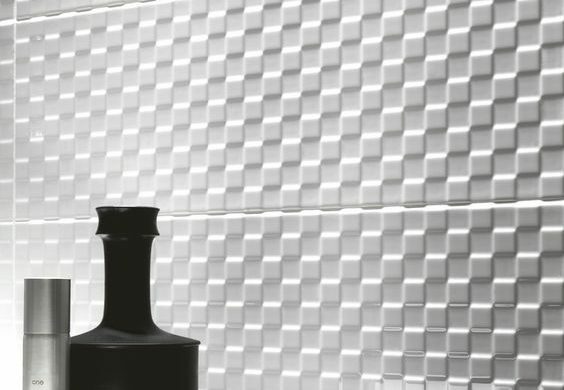 Its prominent collections is the 3D Fabric version, characterized by tiles 40×120 cm and with a reduced thickness inspired by typical Italian fabrics, available in different shades. 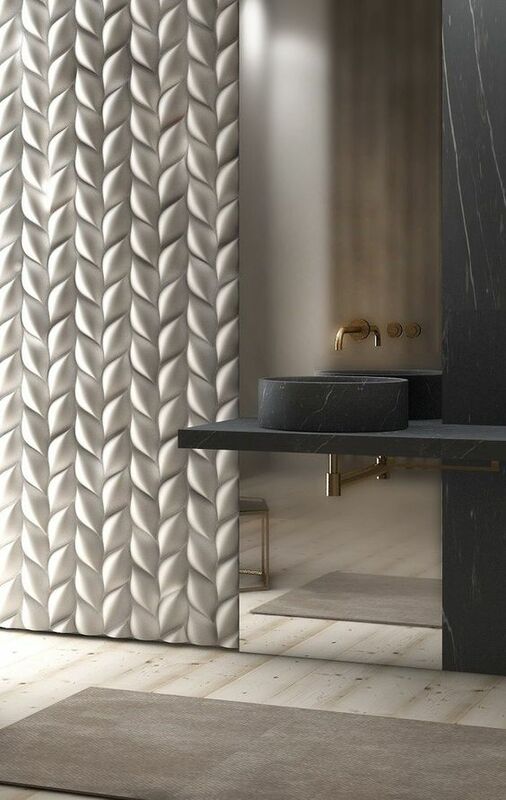 Also for the walls, Marazzi proposes Materika, a satin effect concrete stoneware, superb to the touch and to the eye and characterized by a 3D wave texture. There are different colors available and the decoration ensures a surprising visual continuity, perfect choice if you want to give more depth to the bathroom for example. 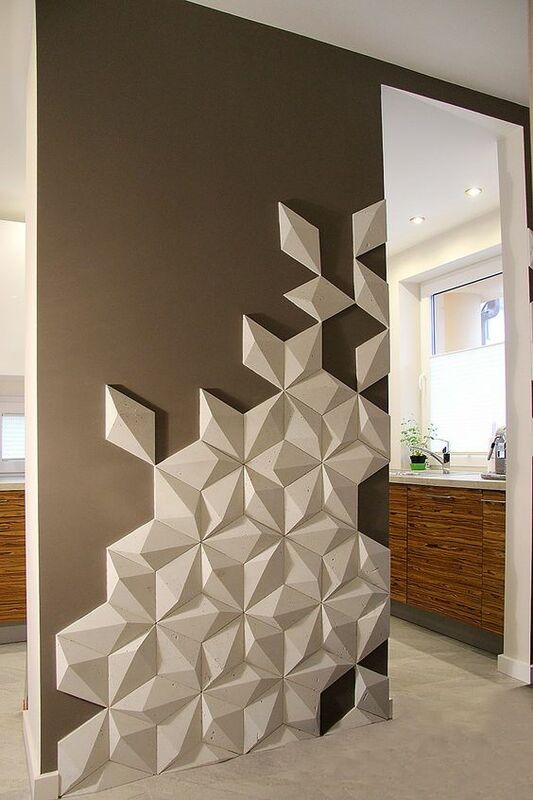 Always to create walls that become true decorative scenes, there is the Atlas Concorde proposal. 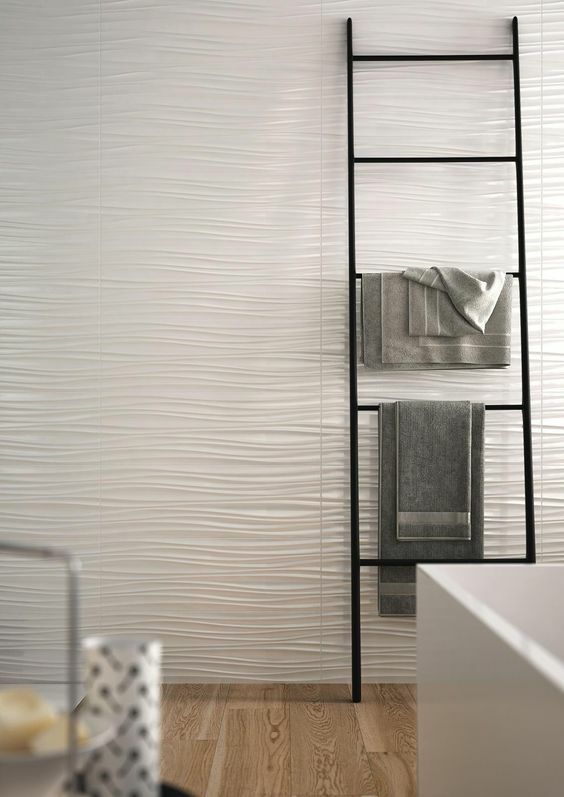 The vast 3D Wall Design collection offers stoneware from the most diverse textures and declined in different shades. 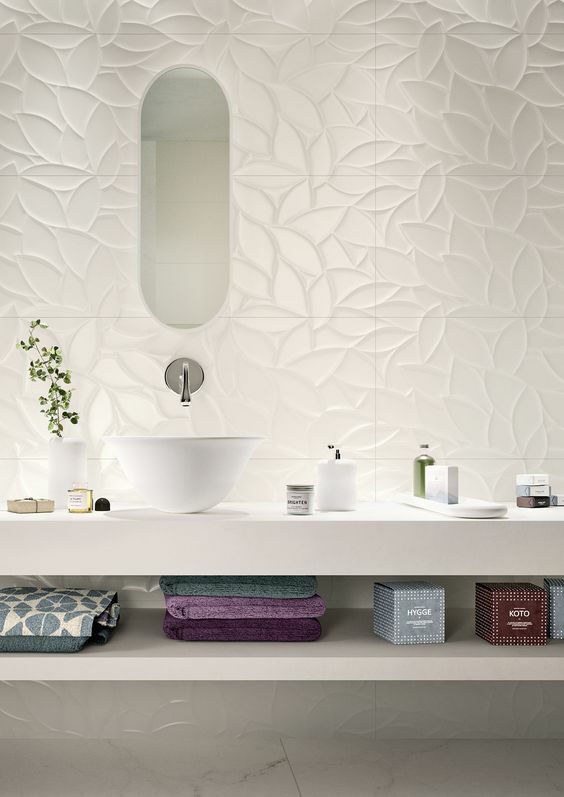 You will find tiles with geometric decorations in relief, sinuous and elegant waves. 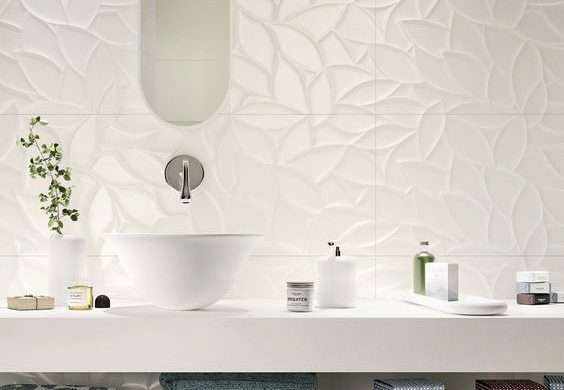 It also features multi-faceted patterns perfect for the bathroom, the kitchen or to give a contemporary and dynamic look to any room. 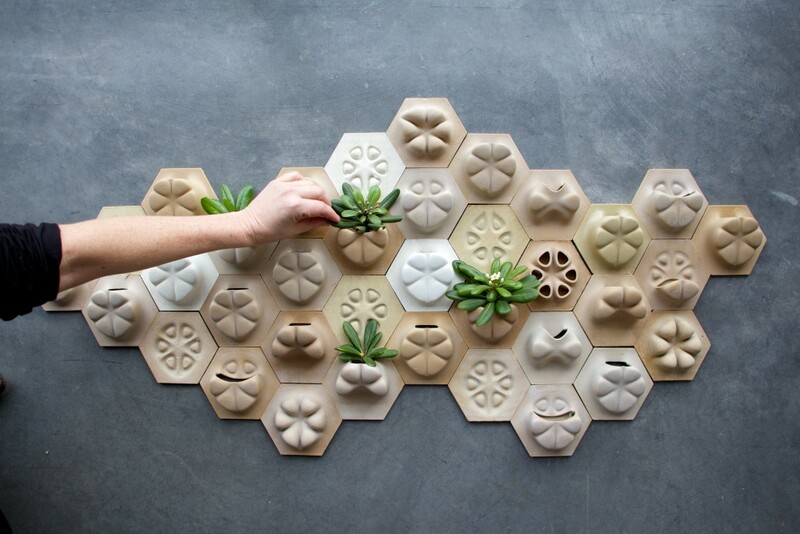 The Planter Tile Collection by Studio Emerging Objects, a very popular foreign brand, is rather original. 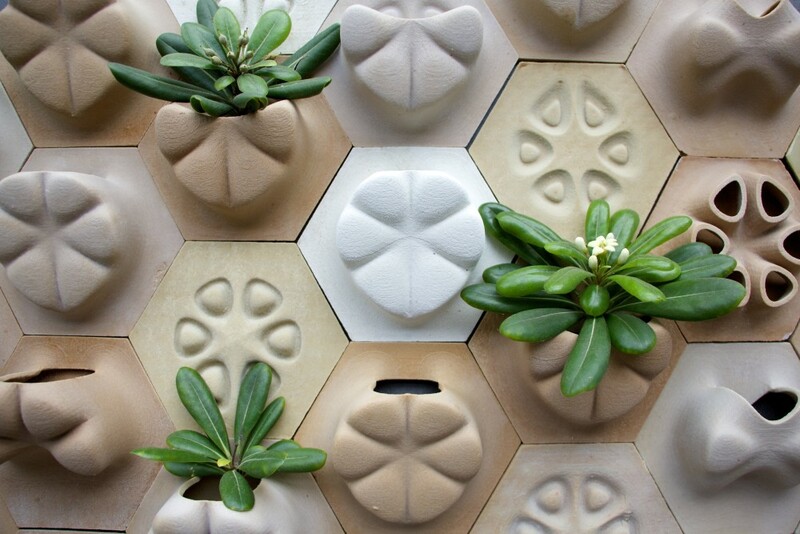 These wall tiles combined with each other allow you to recreate a dynamic backdrop where you can also insert small plants, such as the perfect aromatic for the kitchen. I recommend the choice of three-dimensional stoneware or fabric effect in soft shades, to be combined with tiles of the same color but flat and traditional. In this way you can give an effect of depth, but without weighing down the room. Limit the risk of getting tired after a few years! The trick is knowing how to balance the 3D effect. It is good to use it in bathrooms, even small and dark, in large kitchens to give dynamism and to ideally divide the spaces. 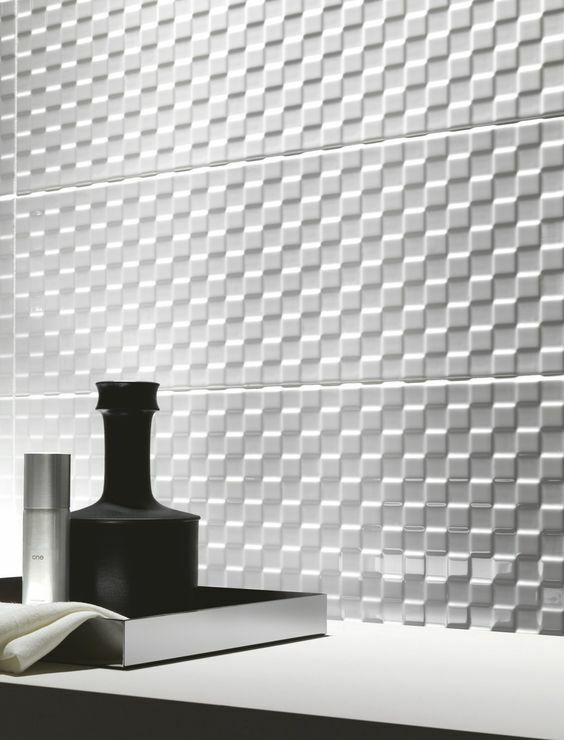 Or you can dare this kind of ceramic tiles even in rooms like the study or the corridors! 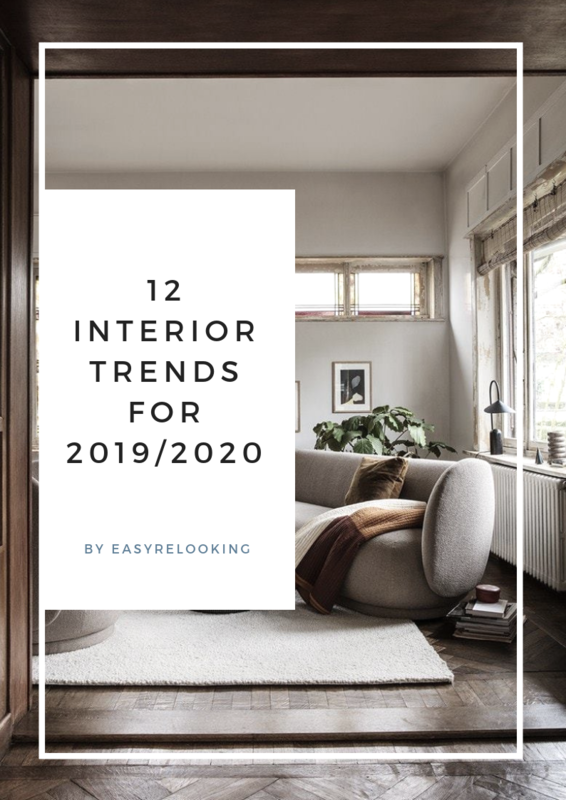 What do you think about this trend? do you think it can stew quickly or will it last long?